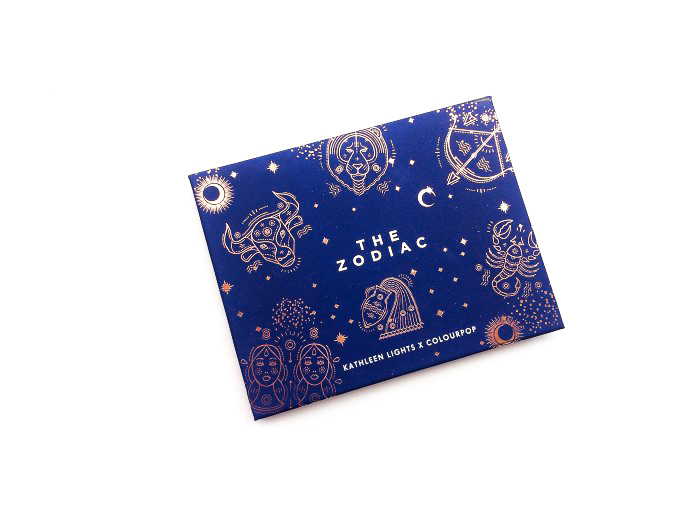 Today’s is the last review about the ColourPop x Kathleen Lights Zodiac Collection and of course, I’ve kept the best for last, this is, the star of the show The Zodiac Palette. As you can see the colours don’t really flow together perfectly because when Kathleen picked the shades she chose shades that adapt with each zodiac sign so the palette is not super cohesive and it’s meant to be used combined with other ones. 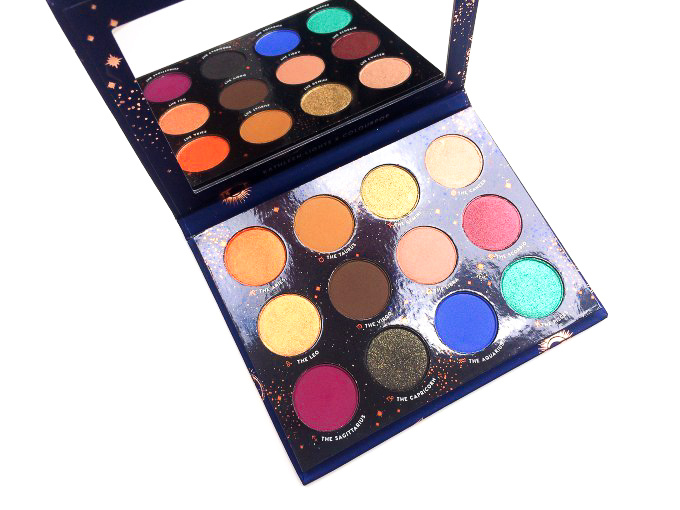 I’m honestly ok with it since as you might already know by now I HAVE A LOT of palettes so I don’t need the basic shades but I like to add some fun pop of colours once in a while I thought this palette would be perfect for that. You can get it here for 18$. I love the packaging. 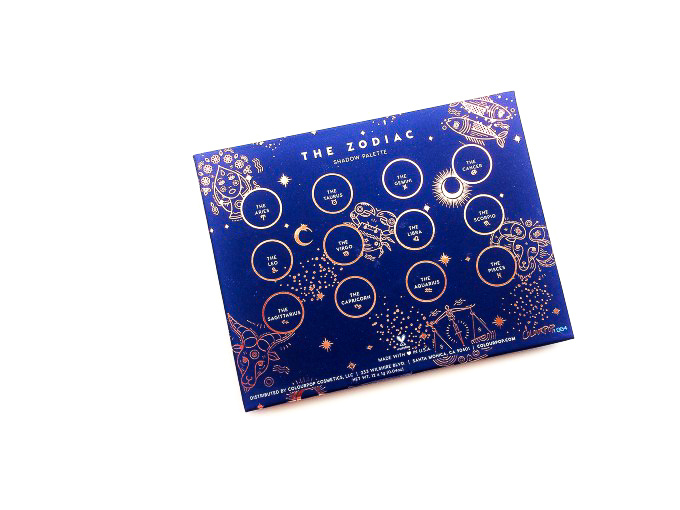 The cardboard box where it comes in it’s black with rose gold zodiac details while the actual palette is dark blue with the same rose gold details. The shades names are on the back and under the shades. It comes with a mirror on the inside which is pretty handy too. Overall I like it and in my opinion, it looks more expensive than what it is. There are four mattes and seven shimmers and one satin. All the shades have medium pigmentation and most of them are easy to blend. I prefer to use the shimmers with your finger (or with a wet brush) they just work better like this and you won’t get a lot of fall down. The two matte browns blend beautifully but The Aquarius needs a bit more help and layering (Kathleen said that in her video too) with one coat it’s a bit patchy. The shimmer shades are easier to put on with your fingers to reduce the fall down. The Scorpio and The Aquarius are a little harder to use and they can get a bit patchy. With a primer they last about 8 hours before fading. This palette is really nice, I like the shade range. The formula is good on most shades. I don’t mind to use my fingers for the shimmer but I’m sure that it would be a problem for some people. Apart from those two more tricky shades the other shades are really pretty. 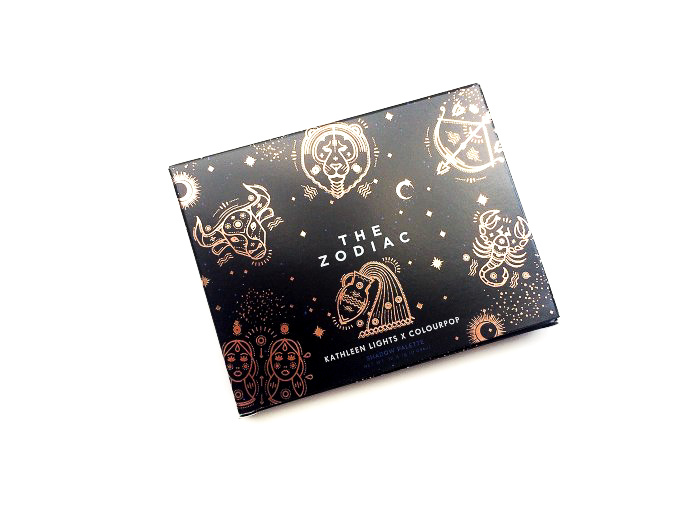 I would recommend it if you want an affordable palette to add some colours to your collection. Always love how you break down the review. This product seems very versatile. I personally too use my finger but I’m sure that’s not for everyone. I love golds since personally they go well with my skin. And not knowing much it’s always safe for a slight glow. This is such a great palette. I love all of the bright colors and especially the ones that appear to have some sparkle to them! i definitely don’t have enough palettes to make this work, but it’s absolutely stunning & i love the theme 🙌🏻 that top look is really cool, LOVE that teal shade! 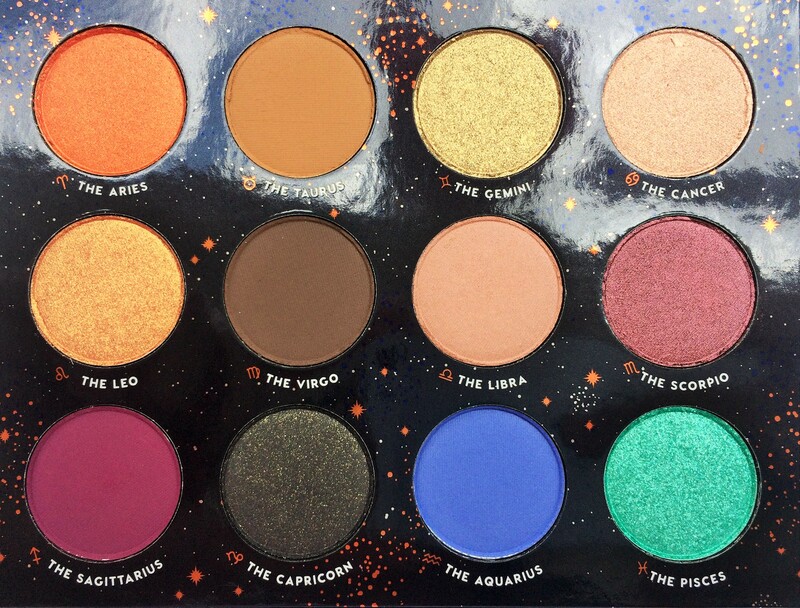 I am loving the shades of this zodiac palette. It looks really pigmented and easy to blend. This palette looks so fun to try some cool ideas out!